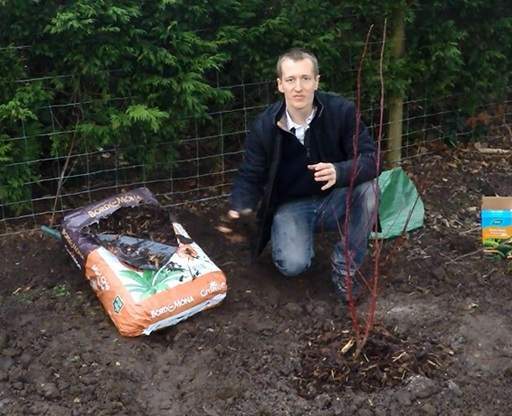 Bare root plants can be planted any time during the November to March dormancy period providing you've not got icy or snowy conditions, the ground is not waterlogged and it's not excessively windy. 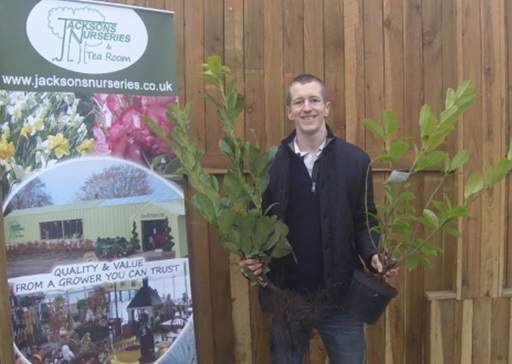 Ideally, if the conditions permit, bare root shrubs and trees should be planted as soon as possible after taking delivery. If this is not feasible, you'll need to care for your bare root plants for a number of days before they're ready to go into the ground. Before shipping your bare root plants we'll give the roots a dunk in water for an hour to ensure the plants are well hydrated before they leave us. We'll then secure a plastic bag around the roots to prevent evaporation before tying together the stems and foliage to avoid damage in the post. Store them in a cool, dry, frost-free place that's protected from the wind until you're ready to plant - a shed, garage or outbuilding is ideal (but not a greenhouse). If you're not planting immediately remove the plants from the packaging and dunk the roots in a bucket of tepid water for an hour. Don't keep the roots in water for too long - any more than 2 hours and they'll drown. 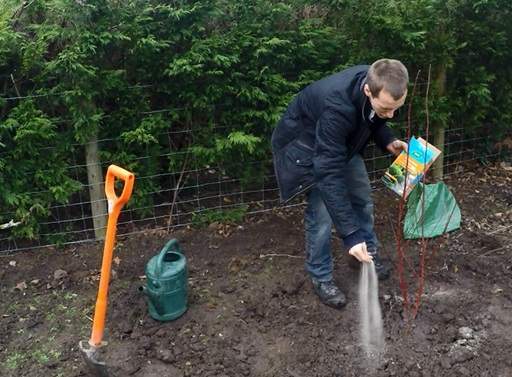 If the delay in planting will be more than a couple of days, temporarily pot them up using a good quality compost or 'heal in' your plants by digging an angled trench, covering the roots with loose soil and keeping moist. Plants that have been 'heeled in' can be kept like that for a couple of weeks and sometimes longer, depending on the weather. Before you start digging, remove all weeds from in and around your planting area. Weeds will compete for moisture and nutrients that would otherwise be available for your new plants. Dig an area no deeper than the roots but ideally 2-3 times the diameter for the root system in the shape of a square or rectangle. 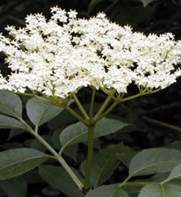 If in doubt, 2 foot by 2 foot (60cm by 60cm) for shrubs and 3 foot by 3 foot (1 metre by 1 metre) for trees and to a spade's depth in both cases is a good size. 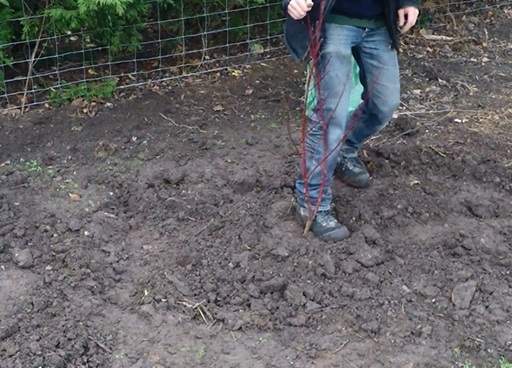 A square rather than circular hole encourages roots to break out of the artificial boundary of the planting hole, preventing them from circling in on themselves particularly if you have a clay soil made slick by your spade. Leave a cone of undisturbed soil in the centre of the hole. Adjust the height of the cone so that the "high tide mark" left from the soil at the nursery (where the trunk meets the roots) will sit at soil level with the roots spreading downwards. Loosen the remaining soil at the base and sides of the hole to help the roots develop. If you're planting a full border, cultivate the whole area, rather than digging individual holes. For more invasive varieties in smaller gardens, consider restricting the growth of the root system using a copper-lined root-control bag. This will significantly reduce the eventual height and spread of your plants without impairing their ability to draw moisture and nutrients from the immediately surrounding soil. If you're plants have been healed in or temporarily potted in compost for more than a couple of days, dunk the root system in a bucket of water again before planting, ideally letting it soak for 20-30 minutes. 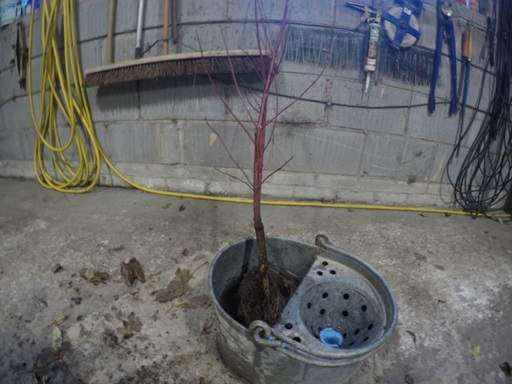 Once complete, put the roots back into their plastic bag and take out to the planting location. Keep your plants in the bag and take them out one at a time as you're ready to plant. Remove any dead or damaged roots from each plant using a pair of sharp secateurs. If you have it, sprinkle a light dusting of Rootgrow (mycorrhizal planting powder) onto the roots whilst they're wet. The mycorrhizal fungi forms associations with plant roots, significantly improving nutrient uptake, accelerating the establishment of your plants and making them more resilient to stressful environments. Lift your bare root plant by the crown (where the roots meet the stem) and spread the roots over the soil cone. You'll want to plant at the same level as the "high tide" mark left from the soil at the nursery. This can be identified by a bulge in the trunk just above the roots. If unsure, it's better to plant a little too shallow than too deep. Planting too deep risks the crown of your plant rotting and becoming diseased, preventing sap from reaching the stems and leading to failure. Planting too deep is the second most common cause of bare root plant failure after lack of water. Planting a little too shallow is not normally terminal, although planting excessively shallow will leave the roots exposed and vulnerable to drying out. Never bend the roots to fit the planting pit. If it's not large enough to fit the whole root mass without any roots being bent, broken or emerging from the surface, take out your plant and dig the hole deeper or wider. The latest guidance is not to alter the backfill for most soils - i.e. do not build in compost or organic matter. This is because if the backfill soil is materially better/richer than the surrounding area, an establishing root system is less likely to venture out of the improved ground, restricting your plant's growth. It's still worth removing stones, weed roots and other unwanted rubbish. If you have a particularly poor, shallow or thick clay soil we'd still recommend some soil improvement to help your plant cope with the harsh conditions. 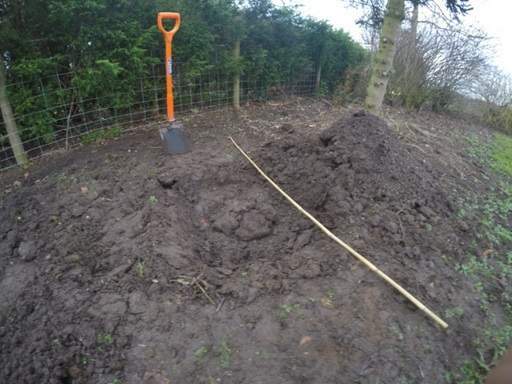 For sticky clay soils where the planting area lies wet, build in about 25% by volume of 50/50 compost and sharp sand or lime free coarse grit into the backfill mixture and plant in raised domes to improve drainage. Avoid adding too much organic matter at the base of the planting hole as this will decompose and may cause the plant to sink. 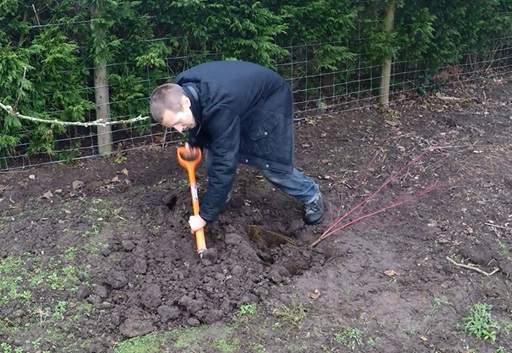 As you backfill, press soil around and between the roots to eliminate air pockets where frost could form. Giving your plant a little shake will help the soil filter around the roots. 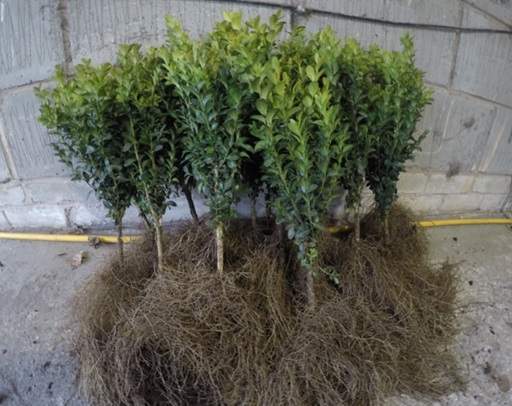 For larger bare root shrubs or trees, back-fill half way then give your plant a good water to allow the soil to settle and help fill in any air pockets, before back-filling with the remaining half of the soil. Firm down the soil around your plant with your boot, again to eliminate air pockets. Don't stamp but use your full weight to secure the ground. Plants need the support of the surrounding soil to prevent being 'swayed' by the wind and roots need to be in contact with the surrounding soil to grow. Add bonemeal to your soil to provide essential minerals that promote sturdy root systems and stimulate plant growth. Weigh out the bone meal as per the instructions on the box - it is strong and can "burn" your plants if excessive quantities come into direct contact with the roots, so do not overdose. Sprinkle over the planting hole and then gently mix into the first inch (2.5cm) of soil around the roots. It's now time to give your plant a good thorough watering. 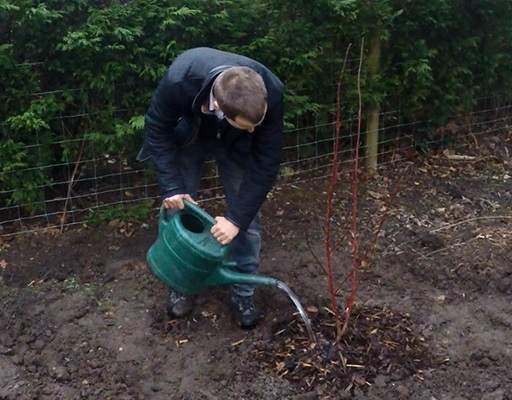 For large shrubs and trees, you may wish to construct a 3-4 inch (10cm) high ridge of soil around the edge of your planting hole to create a watering basin. This will hold irrigation water and concentrate it over the roots. Water the basin and allow the water to sink into the ground, repeating several times to ensure even the lower parts of the root system are fully watered. Obviously, the bigger the plant, the more water you will need. 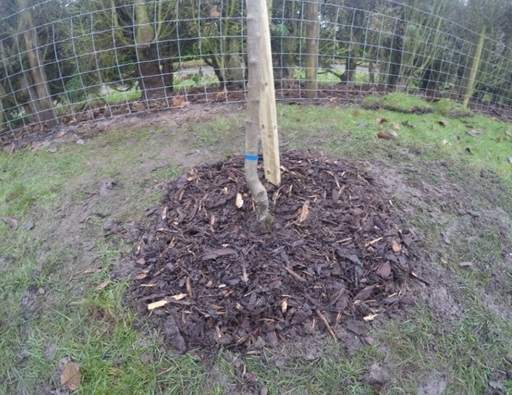 Apply a 2 inch (5cm) layer of mulch such as bark or straw around the base of your plant, leaving a gap to prevent the mulch from making contact with and rotting the stems. This will aid water retention by preventing evaporation from the soil surface, as well as acting as a barrier to weeds and protecting the roots from ice and snow. Stake top-heavy and larger specimens, particularly if they'll be exposed to the prevailing wind. If in doubt we recommend airing on the side of caution and using a stake. Our stake and tie planting kit is a good choice. Install a stake on the side of the prevailing wind before you've back-filled the hole. Use a mallet to knock it in securely, off-centre in the planting hole. This will mean the tree is blown away from, rather than onto the stake, to prevent it from rubbing and causing damage to the trunk. Tighten the tree tie with the buckle on the opposite side of the stake to the tree, leaving a little growing space but sufficiently tight that you're tree does not jiggle around excessively. 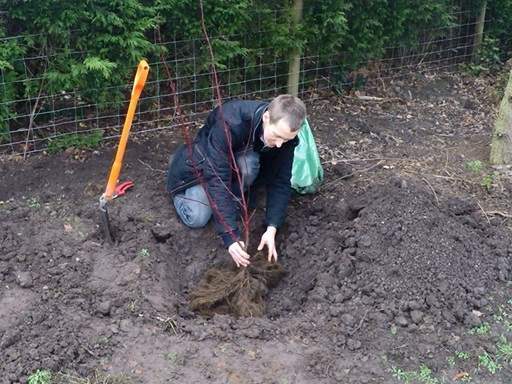 Always use the rubber spacer to prevent the tree from rubbing against the stake and causing damage. 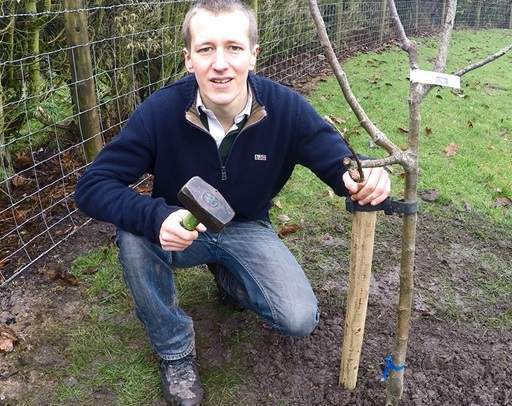 When you're happy with the position of the tree tie, secure it to the stake with a nail or screw to stop it slipping. If necessary in your area, protect bare root trees from rabbit and deer damage using a tree guard or chicken wire. 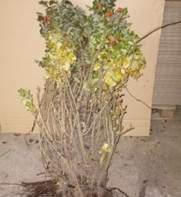 The most common cause of failure for bare root plants is inadequate watering during the first year. 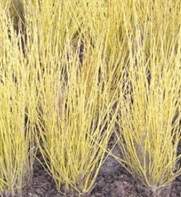 Plant roots store nourishment which is used to regenerate themselves when relocated, survive droughts, fight disease and fuel growth in spring. As the roots dry out, that nourishment is lost and cannot be replaced. If there is no rainfall for more than a couple of days during hot summers or even dry, windy spring days, you'll need to give your bare root plants a thorough dousing of water. The required amount depends on the soil type but you can use 30-50 litres (4-6 watering cans) per square metre per week during dry summer weather as a guide. A thorough watering every 2-3 days is preferable to a lighter splash every day as it will encourage your plants to develop a deeper, more extensive root system, helping them become self-sufficient more quickly. If you're unsure and want to check the level of soil moisture, dig a narrow 4 inch (10cm) hole just outside the rooting area of your plant and see if the soil is dry at the bottom. Always water in the evening so it's not evaporated by the sun. 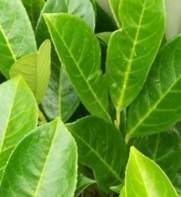 You can also spray the foliage of new evergreen plants during very hot weather. 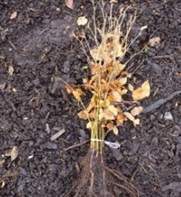 Remember that bare root plants will stay in their dormant phase until April and you won't see any signs of growth above ground until this time. It's important new plants don't have to compete for water and nutrients, so keep the planting area clear of weeds, particularly during the first 2-3 years of establishment by hoeing, using a mulching mat or systemic weed killers. Watch out for slugs and snails in the spring, particularly during wet weather. Use crushed egg shells or wildlife friendly slug repellent if necessary to protect your plants. 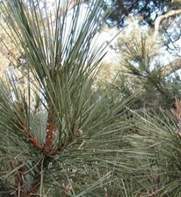 In windy locations, trees and top-heavy shrubs may be "rocked" by the wind, opening air pockets close to the roots which are vulnerable to frost and drying winds. Check your plants after windy weather and firm back in if required. Ideally shelter evergreens from drying winds during their first season using windbreak netting. 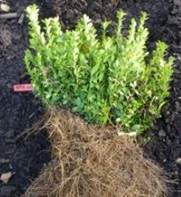 An annual mulch or feed of slow release fertiliser can be helpful to maintain vigour and encourage flowering plants to shine come blooming time, particularly for closely planted bare root hedging that's competing for nutrients. However, avoid applying a fertiliser containing phosphorus during the first growing season if you've applied Rootgrow/mycorrhizal planting powder to the roots at planting time as the phosphorus can suppress the fungus. Check tree ties in May and September and loosen if required to prevent the stem from becoming constricted. Stakes can be removed after 2 growing seasons as the roots will have established sufficiently to anchor the tree after this time. 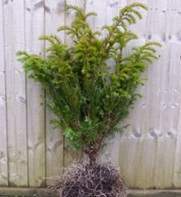 Some of the most popular hedging choices are Common Beech, Common Yew, Hawthorn and Leylandii. 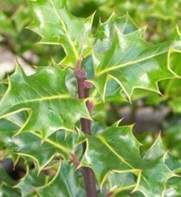 Choose holly plants in 9cm pots if you're looking for a spiky, impenetrable intruder-proof screen; Sorbus Aucuparia for white flowers and red berries (deciduous); or box hedging if you want something that's slow growing, long lived and looks smart when kept well-clipped. We've given a brief selection of some of our favourites below but you may prefer to buy bare root plants from our full range.